Philippine Flowers Delivery | happiness blooms! 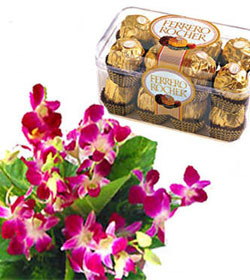 12 pieces orchids bouquet with aglomea fortune leaves and 200 gms. ferrero chocolate for your love one.